Watch junkies get their fix in all sorts of ways. For some, the aesthetics of a fine timepiece compel them to master the art of photography. To others, the history and collectibility of a brand or model serve as inspiration to write about watches. But what can a horophile do if he or she is really into the mechanics of wristwatches? Taking apart your Rolex - and putting it back together - isn't quite as easy as snapping a picture. The art of watchmaking demands technical prowess and dexterity, typically honed in a formal training program. And therein lies the issue for most watch enthusiasts… Even if they have the passion and innate abilities to become a watchmaker, in all likelihood they don't have the time or the lifestyle conducive to taking up the trade. That could easily be Andrew’s story. He’ll tell you, "I'm married, I have a baby… you have to go [to watchmaking school] for two years straight, and I don't have that option.” But with Andrew, if there’s a will, there’s a way. And he found such a way to pursue his curiosity about watch movements - and assembly - all while keeping his day job, and never enrolling in a formal horology curriculum. What’s even more impressive, is Andrew founded his own watch company back in 2012, Chicago-based Astor & Banks, with the initial goal to "design a watch, get the pieces made, and assemble it [himself]." Andrew spent over a year perfecting his craft, including learning the ins and outs of one movement - the ETA 6497 - which he still uses to this day in Astor & Banks' flagship models, the AB1405 and the AB Clasico. Andrew has become extremely adept at working with the ETA 6497 movement and assembling his manual wind watches. They take him about three to four hours to put together and are then put through six days of quality control testing before being presented to the new owner. Most watch wearers can tell you where their watch was made, but they can’t tell you who made their watch - unless they own a Simplicity by Philippe Dufour. When people find out Andrew’s role at Astor & Banks, they invariably turn to him and say, "What? You're doing the watches?" His approach gives new meaning to being hands on and adds a new dimension to the story someone can tell about their watch. 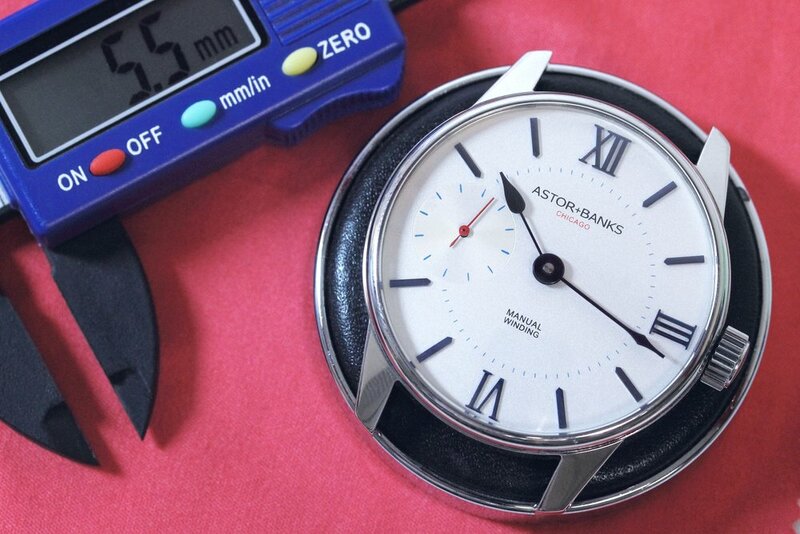 What started out as simply a way for him to get more involved in the hobby of watch collecting, has evolved into a full-fledged business: Astor & Banks has done well over the years, including expanding their collection to include a quartz Chrono, which is also assembled by Andrew. To check out the entire Astor & Banks lineup visit their website astorandbanks.com and follow Andrew on Instagram @astorandbanks.